The average cost of upgrading an electrical panel to A 200 AMP service is $1,500 – 2,800. Currently, many homeowners are doing this update because they find that they can no longer add a new appliance or a device that uses electricity because their current electric panel does not have enough capacity. Today, given the growing number of computers, high def televisions, multiple appliances and electrical devices that many homes have, having at least 200 amp electrical panel is needed to support this high level of usage. 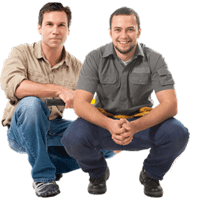 Get started by contacting a local licensed electrician for a free estimate. Across the US, homeowners report spending $1,200-3,000 (labor and materials) on upgrading an outdated service panel to 200 amps. Upgrading an existing panel to 200 amps (which is currently a required minimum standard) costs between $850-1,150. Many people are currently doing this improvement, because in the majority of homes, circuit breaker panels are usually 100 amp. In many cases, they are as low as 60 amps. This is simply not enough. The upgrade will include disconnecting and then reconnecting the power line to the home, installing a new meter socket outside and replacing the circuit breaker panel. (Note, your electric company will be the one to disconnect and reconnect the power, NOT the electrician). There may be an additional cost to upgrade your panel to 200 amps. During the installation, your electrician may discover some additional things that may need to be repaired or replaced. These include old wiring, worn outlets, outdated fixtures and damaged circuits. Depending on what needs to be done, expect to pay anywhere from a few hundred to a few thousand dollars extra. To budget for this project accurately, its is best to ask an electrician to come out and give you a price estimate. Professional electricians charge anywhere from $55-85/hr for labor. It takes an average of 8-10 hours to complete the upgrade, without any major complications. There is such a wide range because of local price differences for contractor labor. High income suburbs, as well as very expensive cities, such as New York, San Francisco, etc., will have the highest rates. Lower income suburbs and towns, will have significantly lower pricing. Moreover, well established, larger companies will charge you more than smaller ones. This is because in smaller companies, the owner is a licensed electrician, and he comes out to do work himself. It is very important to only hire a LICENSED professional, because electrical work that is performed without proper knowledge and not up to code is a real fire hazard. Don’t put your family and home in danger just to save a few hundred bucks. How Does An Electrical Panel Work? Its important to have a basic understanding of how an electrical panel works. This panel is the central piece of the entire electrical system of your home. It determines how much power is available for the circuits to distribute to all the appliances, devices and outlets in your house. If you open the panel, you’ll see circuit breakers arranged in two columns. There is also a main switch above these columns that controls power to the entire house. Each circuit breaker controls the electrical current that flows to a specific outlet. Its job is to protect your home from power surges or current overloads. An overload occurs when more amperage travels across a circuit than it is designed to handle. In this case, a properly functioning circuit breaker will safely fail, thereby preventing a fire. 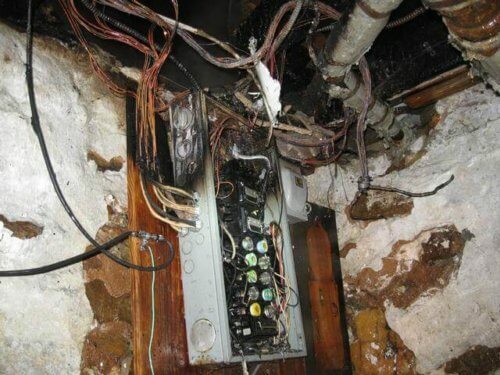 If your electrical panel is very old and not designed to handle the electrical usage that is currently taking place, you may be facing a serious fire hazard. There a signs that your circuit breakers are overloaded. Its very important to watch for these, and take immediate action by calling in an electrician. In this case, you need to contact an electrician immediately, so they can either repair or upgrade it. Even if the electrician finds that your current panel can be repaired, we recommend replacing and upgrading it, if you can afford it. You will still need to eventually do this upgrade anyway. If you currently have a fuse panel its better and much safer to switch to a breaker panel. If your electrical usage is expected to go up significantly, you will need to do this upgrade. This can happen in such cases as wanting to install an electric tankless hot water heater, which uses up about 120 amp, or needing to charge an electric car. Alternatively, you may also find that you have acquired so many electric appliances and devices that your old panel simply can’t handle this load. Many prospective homeowners are looking for homes that are electrically wired to handle all the newest advents in home technologies and appliances. Upgrading your electrical panel will make your home a lot more attractive and in line with the current standards. While the cost of this upgrade is significant, it is a very smart long-term investment. Even if you are not noticing any signs of failure or overload, but you know that your electrical panel is a few decades old, it may be time to replace it. On average, it has a service life of 25-40 years. If you know that yours is older than 25 years, an electrician should inspect it to determine what needs to be done. Some older electrical panels have outdated technology, and its best to replace them. This includes: split-buss panels, cheap builder-grade panels. Many electricians consider old panels that have been manufactured by Zinsco and FPE to be very problematic. They are great candidates for replacement. Finally, it is a good idea to replace your electric panel if it has been in contaminated water, or corrosive environment.Instead, you can get a quality brand, such as Siemens, or Square D by Schneider Electric. Be aware of DANGER from overloaded circuits! Because many homeowners don’t understand how an electrical panel works, they put themselves in grave risk of being electrocuted. This happens when they get tired of the circuit breaker constantly tripping, and replace it with a LARGER circuit breaker. The problem is the existing wire is not made to handle this increase. Consequently, there is now a serious danger of an overload. 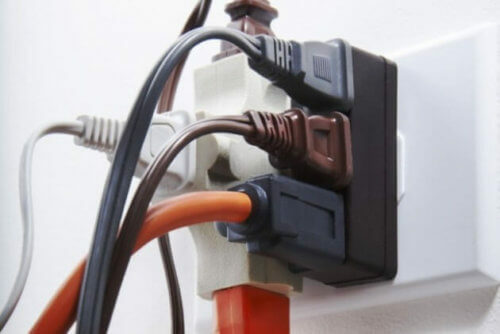 You should know that if the circuit breaker is tripping, it means that the wire running from your electrical panel to your appliances or devices is overloaded. It is in danger of catching fire. In this case, an electrician needs to upgrade the panel, NOT replace the circuit breaker itself! This should not be taken lightly, as about 200 people die from being electrocuted in their homes every year! All because they think they know what they are doing. Sometimes this problem can go unnoticed, because the circuit breakers don’t trip even if they are overloaded. This happens because there is a loose connection somewhere within the circuit. It is common to see this hazard in very old homes. This is why, if you live in an old house, you should get an electrician to inspect your electric panel to make sure its not overloaded. You should do this even if you have not experienced any issues. However, for an actual upgrade from let’s say a 100 amp panel to a 200 amp Electrical Panel, or 200 amps to 400 amps, depending on the size of the homes, there would have to be an Electrical Permit pulled through the county where the project is located to make it Legal. I would like to upgrade Panel 200Amp, Pls kindly let me know about the price and time to set up.